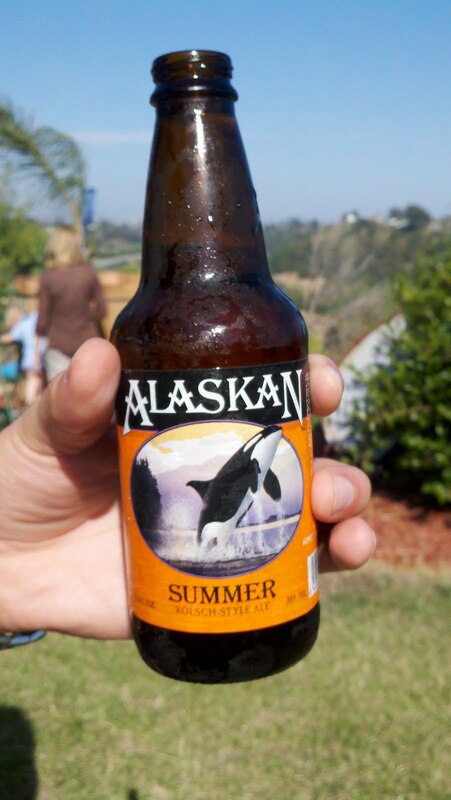 I picked up a sixer of Alaskan Summer Ale to go to Steggy's house warming party last week since it was one of the few unique beers at BevMo that was in a reasonable price point for a sixer. 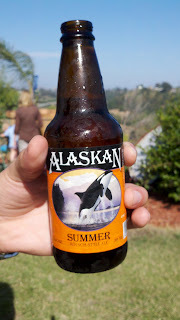 I had 4 of these that day, and it was pretty darn good. I wasn't able to write too many notes on it, but I remember it as being a light, sweet ale with a good bitterness profile. It definitely reminds me of summer, but more of a cold rainy summer. They definitely succeeded in capturing the essence of Alaska, and I commend them for not becoming something they are not.